This article is published in collaboration with the Serbo-Croatian portal Bilten. Debates over natural conservation have been at the center of public attention in Bulgaria. They usually appear as clashes between investors and environmentalists over tourist resort projects. Media represents them as a contradiction between concerns with the employment of citizens, living in the vicinity of national parks, and green activists, caring for natural conservation, but disregarding economic growth. In reality, the green movement were complicit in the establishment of a liberal conservationist regime that was abused by investors building huge unsustainable resorts with scant or absent economic opportunities for locals. In Bulgaria conservation of natural biodiversity is done via two main juridical frameworks – protected territories and protected areas. The protected territories include national and natural parks, reserves and some others. Generally there regulation is much stricter, compared to protected areas, which essentially coincide with EU’s Natura 2000 network. “Territories” are much smaller, but supposed to have stricter and more centralized regulation, whereas “areas” are larger, but less regulated. Protected territories comprise solely 5% of the country. The strictest protection level applies to reserves, which are only 20% of the “territories”, or 1% of Bulgaria. Reserves tend to be habitats of very particular (and endangered) species, and also part of larger protected territories. Over 70% of protected territories are national and natural parks. Despite stricter regulations, public-private partnerships are allowed and (limited) construction (say ski facilities) in national parks or even private property in natural parks. There are three national parks (Rila, Pirin and Central Balkan), where there is also stricter limitation over economic activities. In addition, there are 11 nature parks, where regulation is less strict, private property is allowed and there are more (even though still limited) economic activities. Most protected areas in Bulgaria are included in the EU’s Natura 2000–the largest coordinated EU-wide network of natural conservation. It is governed by the EC’s Birds and Habitats directives and includes 18% of EU’s land and 6% of its marine territories. Thirty-four per cent of Bulgaria’s territories are part of the network. Around Bulgaria’s EU accession in 2007 there were high hopes Natura 2000 would provide an efficient natural protection. The idea behind Natura 2000 is not to protect biodiversity for its own sake, but to provide opportunities for economic activities to develop in harmony with ecological protection. Within Natura 2000, land is predominantly privately owned and economic activity is sometimes subsidized. Bulgarian environmentalists approved the regime because it provided for a case-by-case decentralized regulation. It escaped stricter governmental control, which green activists were skeptical of. It was seen as a path to a more “sustainable development” within a market-based society. Natura 2000 was explicitly advertised as a liberal approach to conservationism, where nature was supposed to provide “environmental services” to businesses. Mainstream conservationist NGOs in Bulgaria, such as the WWF, provide consultancy for capital in monetary valuation of “environmental services” for businesses. The idea is if investors clash over some resource, they need to valorize it to find a market arbitration to their conflict. Say a beer factory needs clean water and is willing to pay local farmers to use less fertilizers. To pay, however, they need external “independent” authority to establish a price. This is precisely the service provided by expert organizations such as WWF. WWF and the major business representatives in Bulgaria have long promoted the idea of environmental services in Natura 2000 areas. The idea to reduce nature to an economic service and set prices over “natural capital” is part of a global shift towards neoliberal environmental governance and EU’s Natura 2000 network reflects this shift. The EU, say in its “no net loss initiative”, even promoted the creation of international biodiversity offset markets, similar to the carbon markets that were supposed to solve climate change. Basically, the argument behind the offset market is that biodiversity destruction could be reduced to a monetary equivalent and traded amongst investors to solve the biodiversity degradation that was produced by global capitalism. Mainstream green activists in Bulgaria backed this liberal conservationist model. Nevertheless, they were accused by business representatives and media outlets for being “against economic development”, disregarding the economic needs of local people, and opposing human presence in natural parks. Green activists have rarely questioned the systemic nature of the destructive effects of the tourist investment in natural parks. Instead, endemic cases of privatization of parks are blamed on individual corrupt persons. Activists have explicitly insisted that “the protection of nature aids economic development”. In theory they are not against market-driven growth, dominated by the private sector, but they argue for small-scale “honest family farms” and “ecological tourism”. In practice, they end up opposing all large investment projects, deeming them “aberrant” to the “real European model”, as if overdevelopment is not already presupposed by the attempt to solve problems that come from markets with even more markets. In both protected areas and territories, regardless of the different regulation, there are similar problems, namely overextension of business interests leading to ecological degradation. This includes national parks, where supposedly the strictest regulation is applied. For example, a few years ago a cabin lift was built deep in the Rila national park, near the Rila lakes, supposedly highly protected zone. The lift is part of business’ attempts to slowly build a new large ski resort in the national park. It was built on a state-owned territory even without proper concession procedure, leading to environmentalist protests and legal procurements against the project. In the Pirin national, park the situation is similar with crawling enlargement of the Bansko ski resort in the national park’s territories. Earlier this year there was a governmental decision, supported by the far-right, to radically extend the right of the private concessionaire to build more ski facilities in the park. On top of that, the concessionaire of the lifts and skiing facilities was accused of avoiding the concession fees and taxes. Some have speculated that the real reason for the attempts to enlarge the resort in Bansko is not rise in demand, as the investors had claimed, but attempts to restart the real estate bubble there, which burst after 2008. For the past 10 years, the prices of a square meter of apartment buildings in Bansko dropped from 1300 to 350 euro. According to Svilen Ovcharov, an influential environmentalist lawyer, promises of building more ski facilities will benefit only real estate speculators and local politicians, who are giving building permits. Ovcharov compared the situation to tourist overdevelopment along the seaside, where investors are pouring capital into empty apartment buildings in exchange for short-term speculative gains and environmental destruction. In that sense, it is possible to show that the new tourist industry goes hand in hand with financial speculation and real estate bubbles, and is neither an effect of rising demand, nor in the interests of locals, apart from the few local land and apartment owners, who hope to increase the price of their property, as the Bulgarian journalist Ivaylo Atanasov stresses. The record of environmental protection in Natura 2000 areas is no better. Notorious is the case with the expensive sea resort project near the Irakli beach, which is part of the protected area network. The fact that it became part of the Natura 2000 network was not an obstacle to the approval of a big resort near the beach in 2006. The investment project was particularly unpopular, because the beach was used as a free camping spot by young Bulgarians, in particular those associated with the environmental conservation movement. In fact all camping areas in the seaside, quite popular in late socialism and in the 1990s, many of which were in protected areas, were destroyed by the big hotel and resort apartment building spree of the last decades. Apart from big tourist resort there are a number of other environmentally unsustainable investments that got approval in Natura 2000 zones. These include golf courses and wind „renewable“ turbines, which are especially dangerous to the birds, which are supposed to be protected by one of Natura 2000’s directives. A few years ago, the European Court of Justice ruled against some of those projects because of that. Last month even a huge open mining project got approval right next to a Natura 2000 zone. 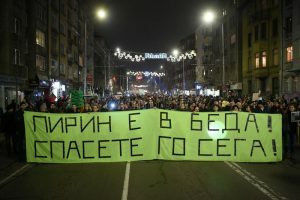 Public concerns with protection of biodiversity became central for Bulgarian citizens with the 1990s privatization of land for mining, farming, big infrastructure, and very often, big tourism. Post-1989 deindustrialization was accompanied by an explosion of ski and sea resorts, promoted as alternative employment. Nevertheless, it is the sector with the lowest wages, the average is 290 euro, while the national minimum wage is 255. These are seasonal jobs, with endemic violations of labour rights, lack of proper contracts, excessive overtime, unpaid wages for last month of the season, and so forth. There are even cases of western tourists beating up female hotel workers. An emotional open letter to employers by a hotel worker from earlier this year is telling – she accused employers of the kind of that “turns us into slaves”. In that sense, it could be argued that in Bulgaria poverty is not the cause, but the result of environmentally unsustainable tourism industry. Public tourist facilities were privatized in the 1990s and now small and family businesses, as households’ room rentals or small kiosks, are being replaced by precarious jobs for big business. The last development master plan in Borovetz, a ski resort in the Rila national park, excluded smaller businesses. Smaller restaurants and cafes dominated the resort in the 1990s, but are now deemed “aesthetically unpleasant” by municipal authorities, seeking to hike up real estate prices. This year small business owners, united in the “Borovetz 1992” association and backed by environmentalists and unionists, protested the new plan. Large media outlets speculated that locals always support tourist development. Indeed there were protests in support of tourist resorts, such as the ones organized by an NGO called “Тhe Nature for the People and the Regions”. But they have been closely associated with big business and their protests were mostly attended by municipal employees and politicians. Sometimes there is genuine local support for tourist projects, when local landowners hope to pump land prices up. But the way tourism grows does not provide decent job opportunities and does not have popular support. Workers often come from other regions (or abroad) as locals tend to be unwilling to do the low paid jobs that are provided. The Solidarity of the Business Class, or ..
To Stop the Engine of Inequality: a Bulg ..
Bulgarian youth in the maelstrom of poli ..
For these reasons there is more and more local resistance against new investment projects. Earlier this year, for instance, in Sinemorets, a small resort town in the southernmost part of the coast, locals campaigned against the new master plan, allowing the construction in a Natura 2000 area. The initiative gathered 260 signatures out of the 290 locals. Locals demanded a ban on construction in protected areas. They claimed infrastructure is already overburdened by tourism and asked for public investment in a proper sewage system, since its lack leads to huge pollution, detrimental for both people and nature. Overall, current legal regimes for natural protection, whether it is the stricter national parks or the more liberally regulated Natura 2000, provide no real guarantees for environmental protection. Relying on big tourist business to be environmentally sustainable or socially just is naive, since all concrete examples are showing of the opposite. On the other hand, local interests, perhaps not those of landowners though, as the Sinemorets case shows, can go along well with more restrictive environmental protection. Neither economic wellbeing, nor conservation of biodiversity can rely on big private capital, public-private partnerships and generally liberal environmental governance. It is impossible to rely on big business alone, especially in the tourism sector, to represent the interests of local citizens. What is decisive is the balance of forces, the ability of locals to organize and to formulate their own agenda. In those cases, in fact, local interests are rarely in contradiction with environmental protection. It makes more sense to put the real interests of the majority on the agenda and to talk about public alternatives to privatization of nature. Georgi Medarov received his PhD in Sociology from Sofia University, Bulgaria, and currently teaches at Plovdiv University. His research focuses on the elective affinities between authoritarianism and (neo)liberalism in post-1989 Bulgaria. 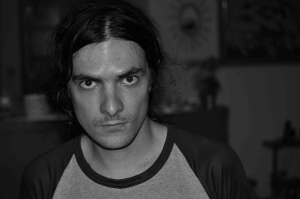 Georgi is also a founding member of the Sofia-based New Left Perspectives – an initiative for political education.